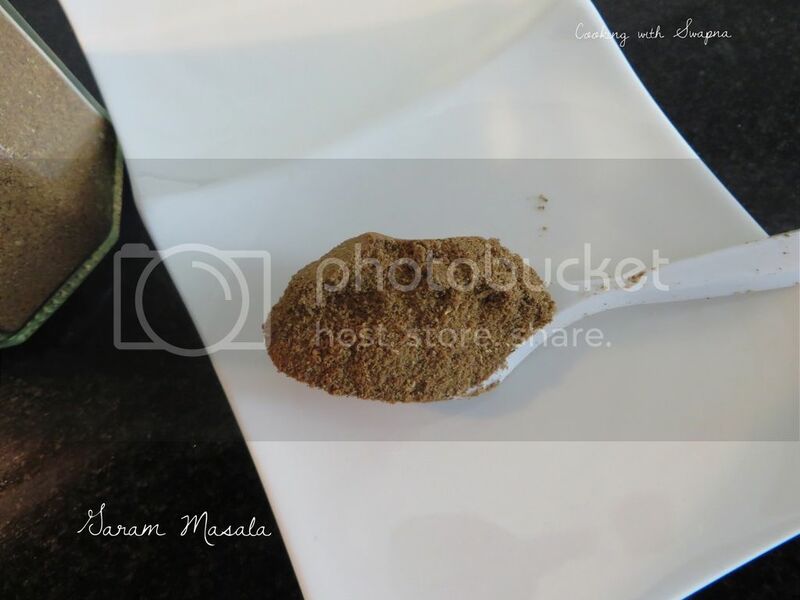 Every household have their own version of garam masala powder. 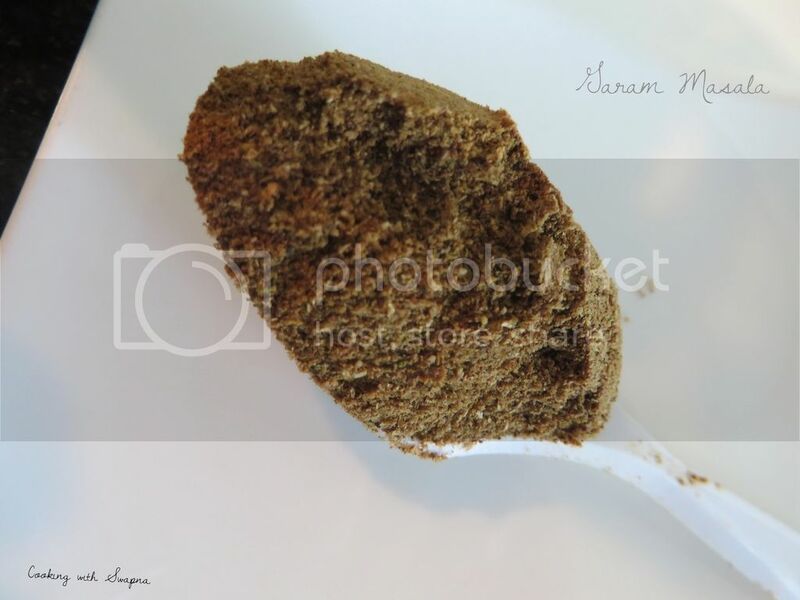 Garam masala is used as a final seasoning in a dish, either stirred in at the end of the cooking time or sprinkled on top. 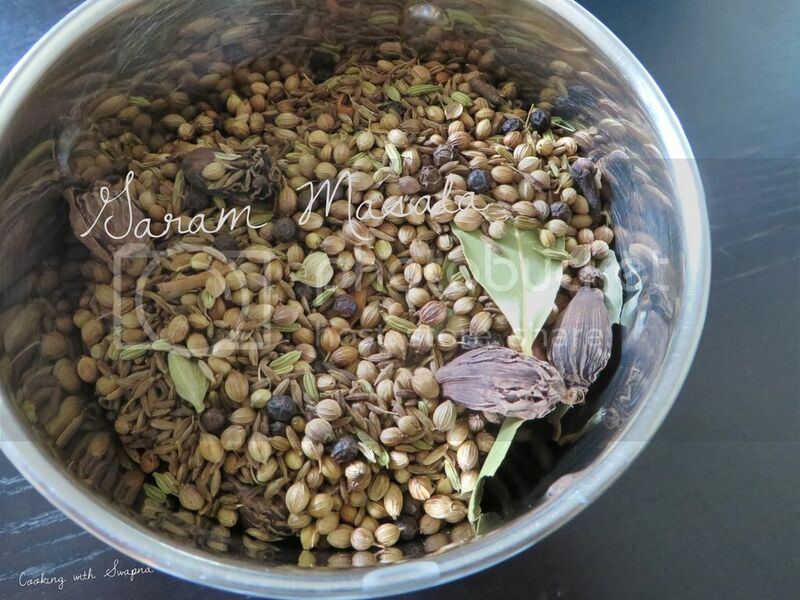 Whole spices, herbs and seeds are first toasted or fried in oil or ghee until they darken a bit in color and release their aromatic oil. The blend is then cooled and ground to a powder. Dry roast all the ingredients. Cool them completely and grind them to fine powder. Sieve the powder and store it in the air tight container.